Walking through the Centre Pompidou, my attention was drawn by this small museum box by Joseph Cornell. 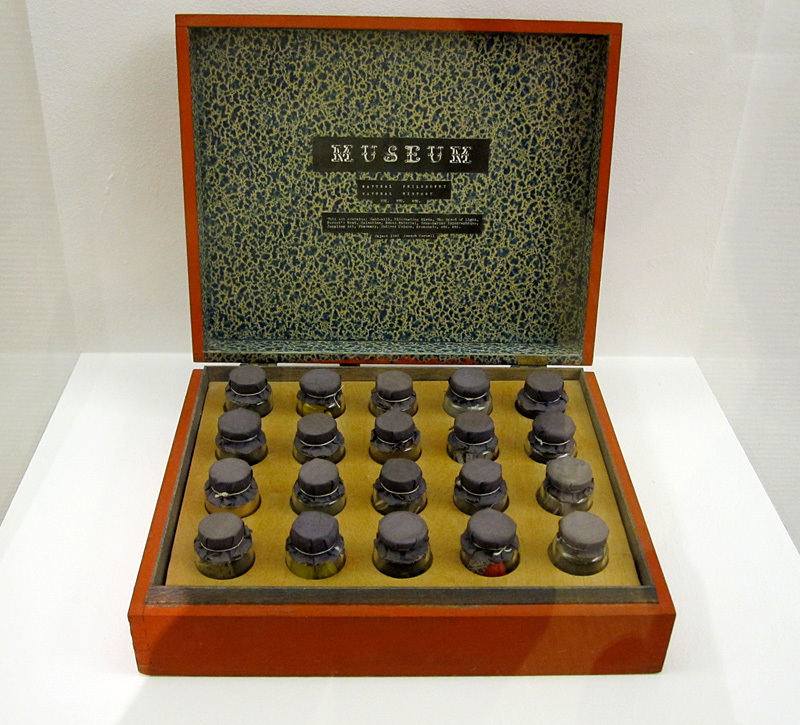 I find it deeply satisfying that, among his many boxes, this surrealist created a “museum” in which all things in the universe could apparently be contained in a few little vials. Deeply satisfying . . . and yet . . . not. Artistic attempts to represent and define the natural world so often remind me of certain religious rituals, or at their extreme, of a cargo cult. It is sufficient to say something, even if the speaker has no understanding of what the words might mean. 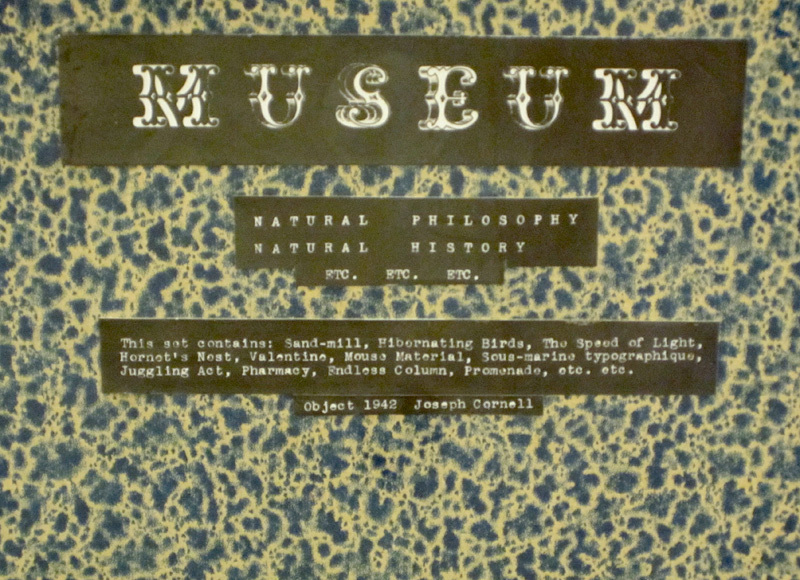 But maybe the museum box is intended to be antithetical to the logical structure of the natural history museum, and maybe it is best to enjoy all museums without too much conscious consideration. Is it the museum writ small and yet ridiculous? 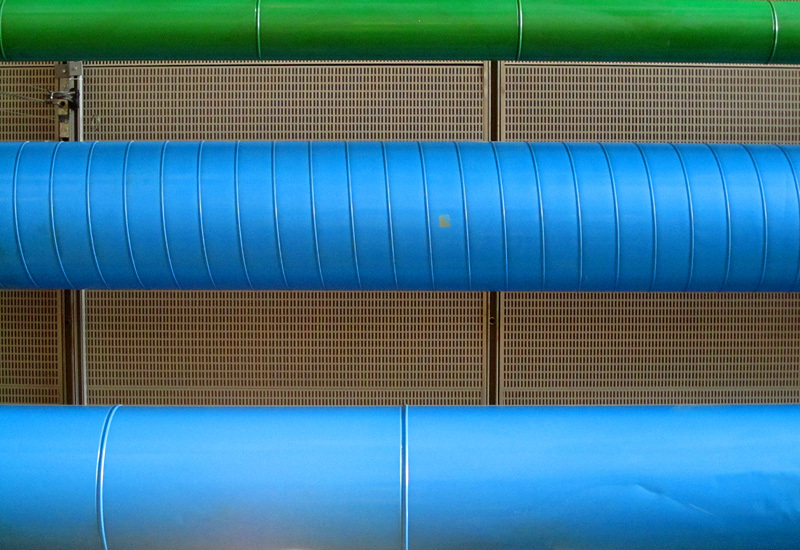 While we are on the subject of entering realms of which the interpreter has but a meagre understanding, at the Centre Pompidou my daughter and I became taken with the idea of photographing bits of the building as though they were abstract works of art . . .
Nice pics, as always. Some years back the city of Melbourne in Australia built a large new building for the Museum of Victoria, which has a long and illustrious history as a natural history museum. 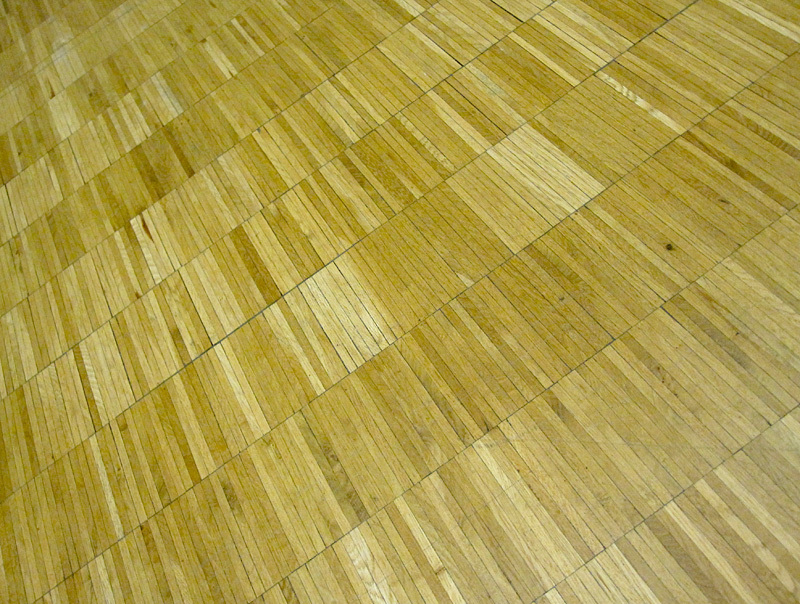 The building is architecturally superb – as art. Many of the display spaces really didn’t suit what they were supposed to exhibit (a whale skeleton had to be ‘adjusted’ to fit, etc.). But most egregious, and how this tale fits your post, were the ‘artistic’ displays of preserved birds and snails. 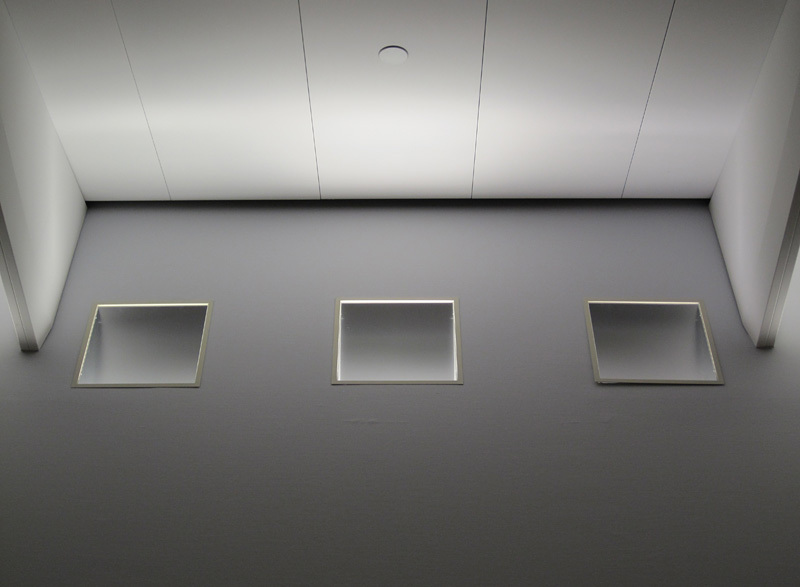 No longer arrayed in taxonomic order, they were displayed according to some artistic sensibility. After some protests and declining attendance, the displays were restored to ‘telling stories of science and nature’ … and people flocked back to the museum. Dave, thanks for your interesting observations. I think that the best Natural History exhibits pay close attention to both science and art; skew it too far in one direction or the other and you will not reach a major part of your audience. I agree. The ‘science’ is more pleasurable and approachable to a wider audience if presented in an artistic way. As is often the case in life, if the pendulum swings too far in one direction, something is lost. I wonder how you fit The Speed of Light in a jar? Very interesting! Thank you, Karen. Maybe the speed of light is inside the hornets’ nest?